Aunt Geri here with the latest Magic Scarf creation. This scarf is thick and Uncle Jerry says it’s just “beefy”. It is a wonderful alpaca boucle with a variegated wool strand and a ribbon. The name came about as we were watching old Star Wars movies, and I made it thick and warm because the movie people were living on an ice planet and it was -30 degrees here?!! 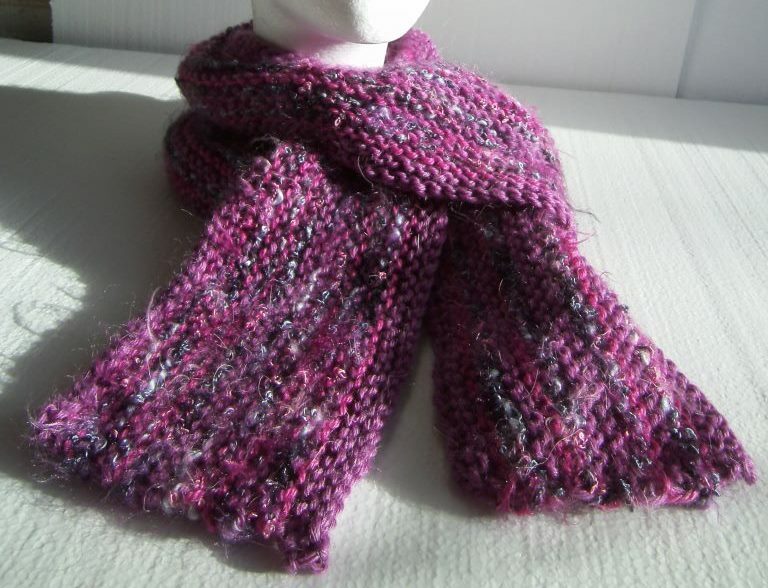 I guess thoughts of spring abound because of the bitter cold wind with a triple berry Magic Scarf. It’s another “beefy” one – as Uncle Jerry says, and has pink and purple alpaca worsted yarns with a wonderfully soft nylon eyelash accent. Someone will be “plum crazy” about this one! The magic scarves just keep rolling off my needles! 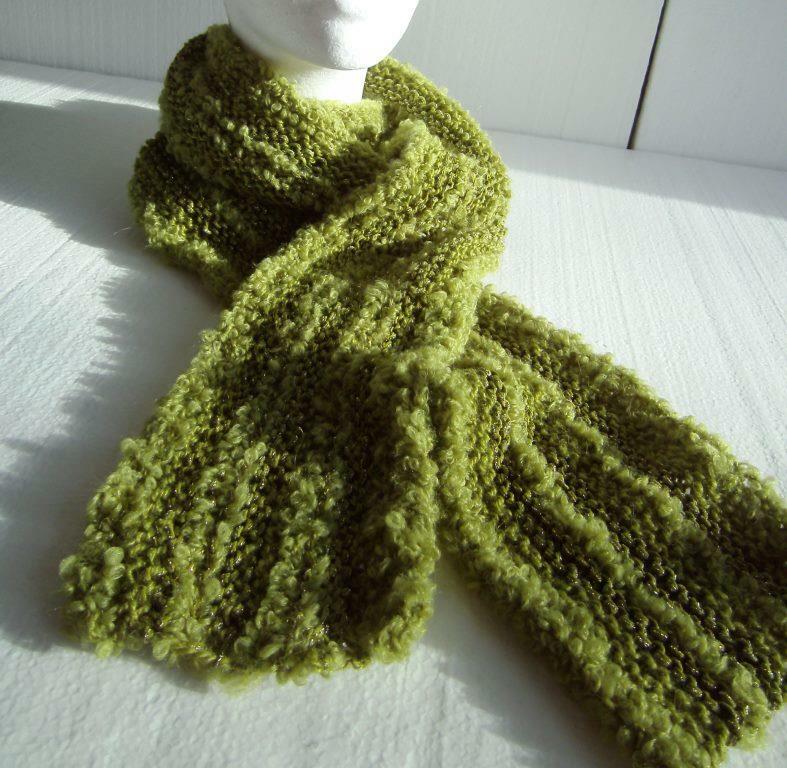 This one is a lovely olive color with the contrast being created from textures. The base yarn is Joya, which is an alpaca boucle that customers love (sadly, it was discontinued). 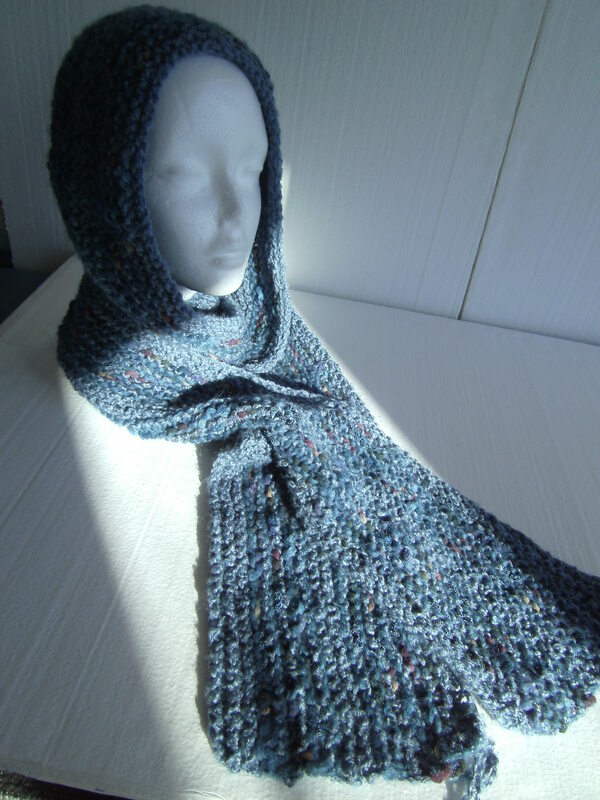 Mix this with an olive worsted alpaca yarn and some gold glitter…………….Magic, and super soft. This entry was posted in Fashion, fiber art and tagged "Let the force be with you", alpaca, boucle, boucle yarn, Christmas, Magic, scarf, Star Wars, yarn. Bookmark the permalink.